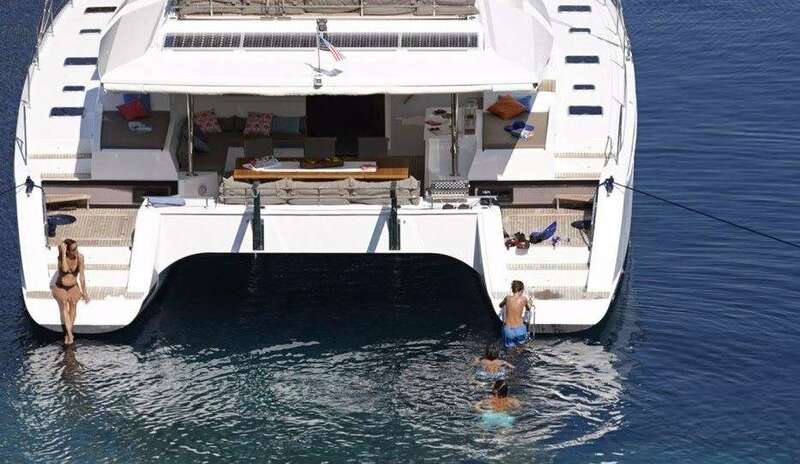 58 to lounge, sunbathe or launch water toys. 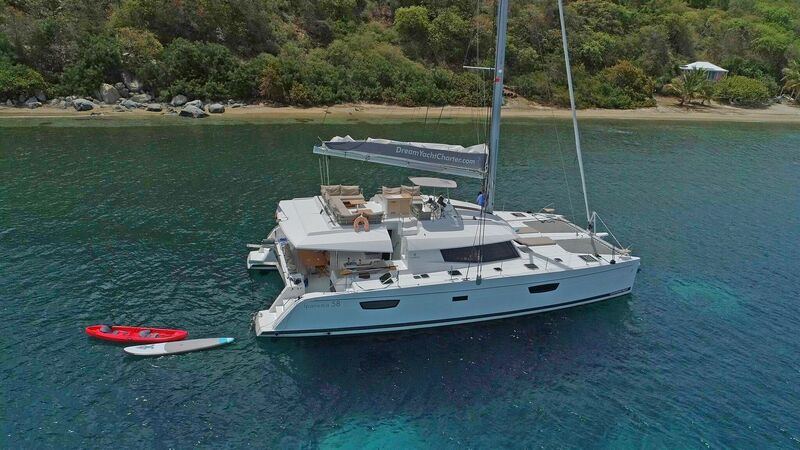 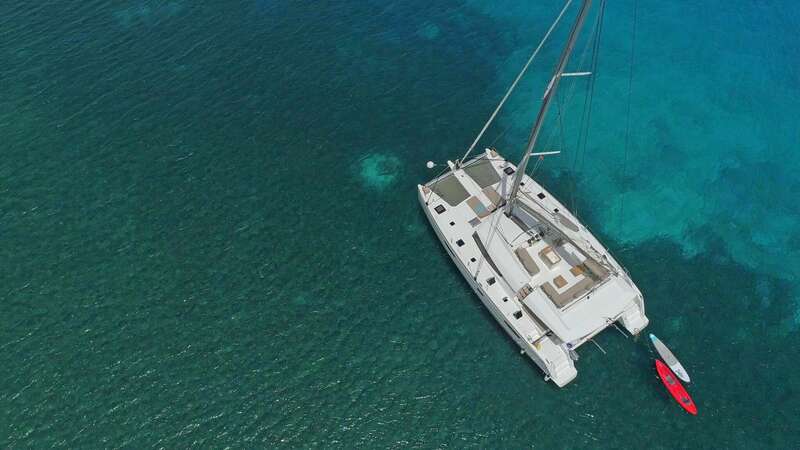 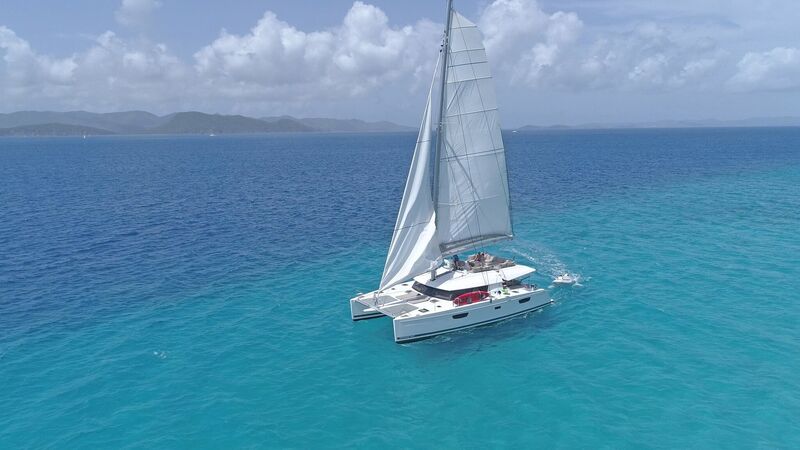 The huge flybridge is one of the best features and is a remarkable structure that provides separate areas for those actively sailing the boat and those who prefer to sit and watch. 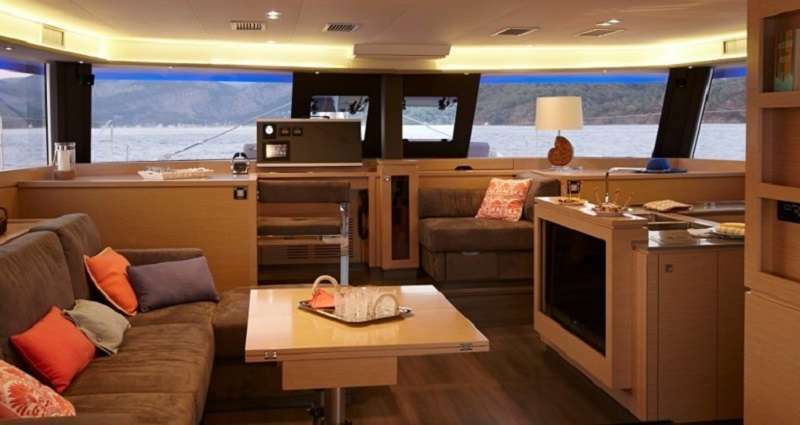 Inside, the Ipanema 58 doesn’t disappoint. 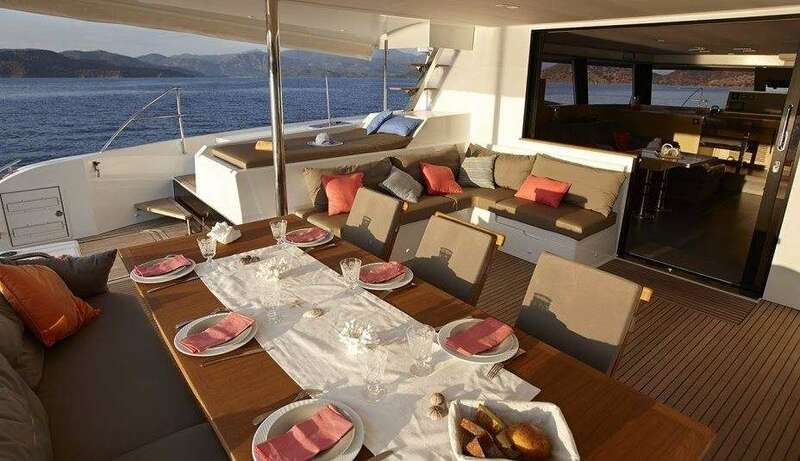 The large sliding glass door opens into an extensive saloon. 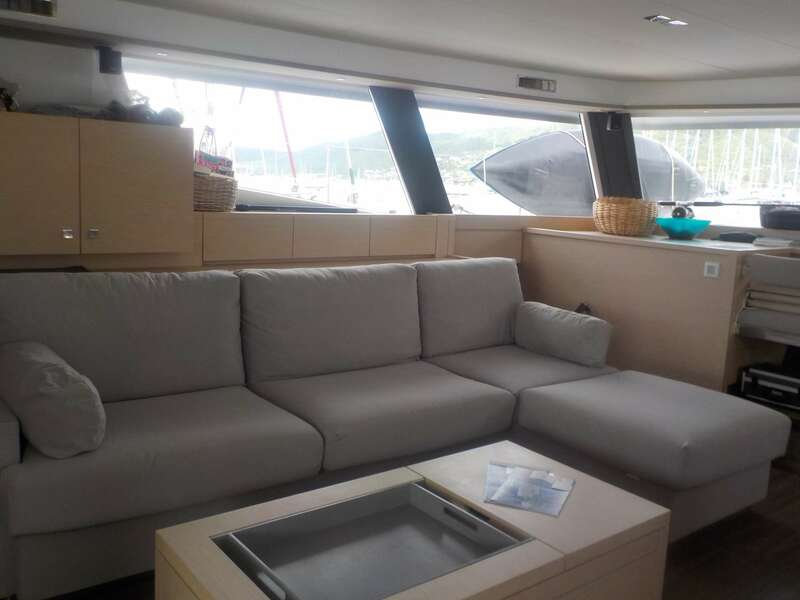 The layout creates a single space with the saloon and the galley combined into an open plan. 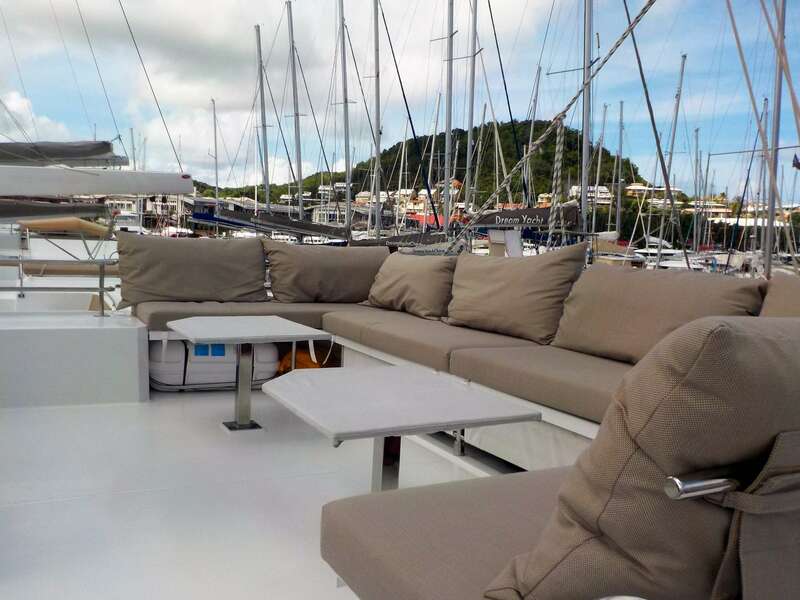 To port is an L-shaped sofa with a low cocktail table, and to starboard is a galley. 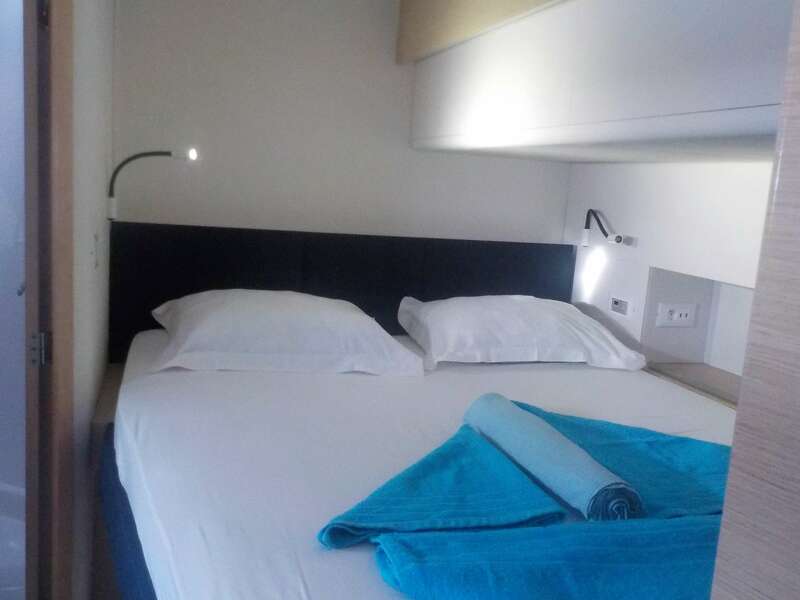 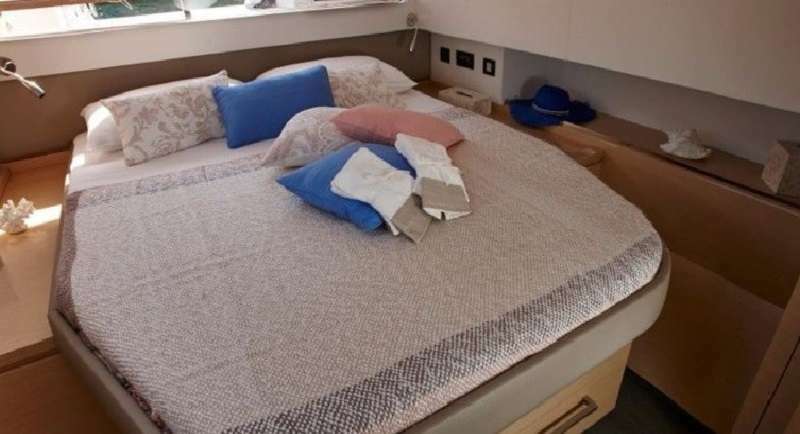 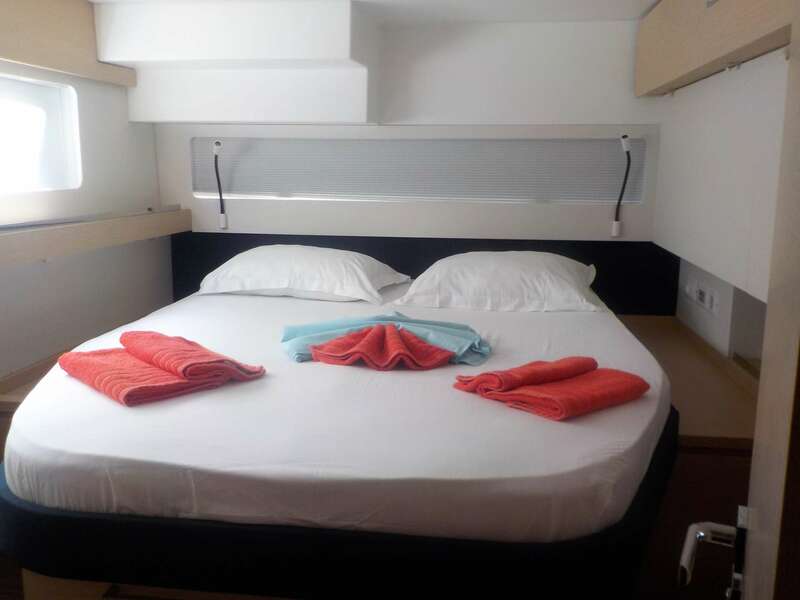 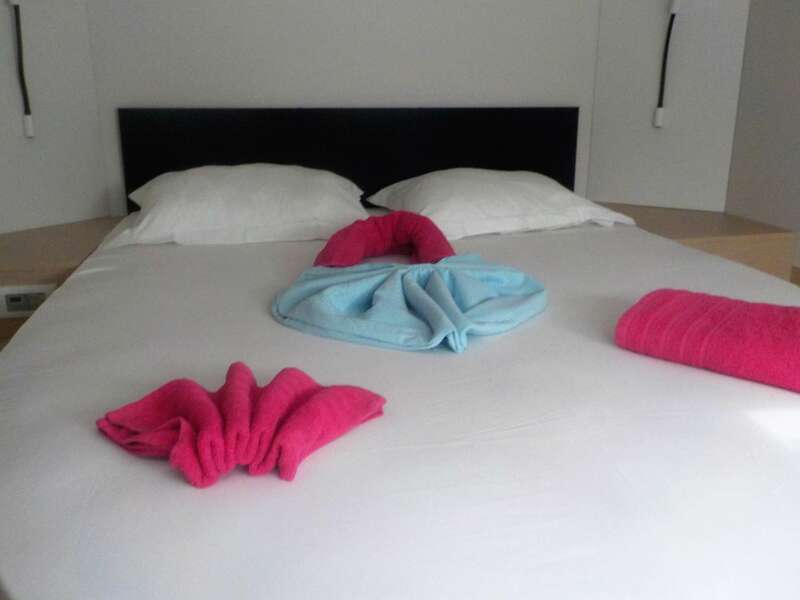 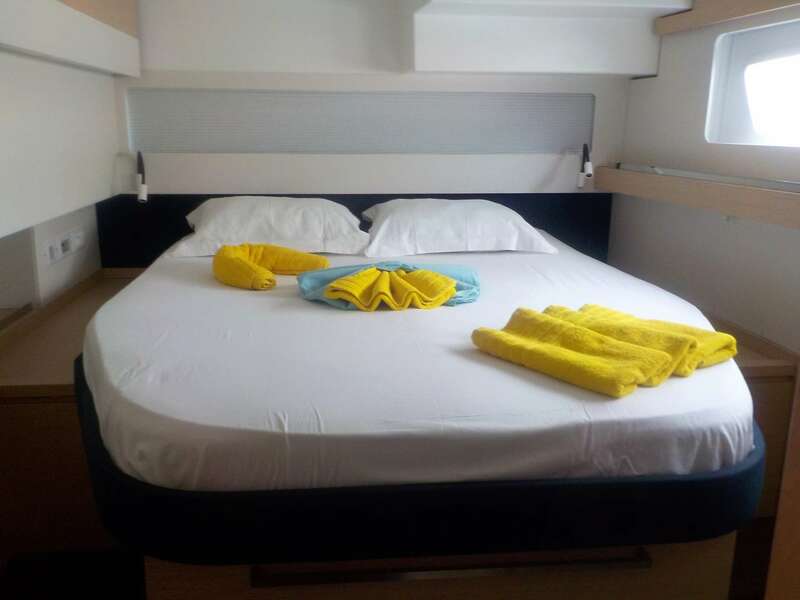 All cabins are below deck giving some separation from the cooking and lounging area and sleeping cabins, all with queen beds. 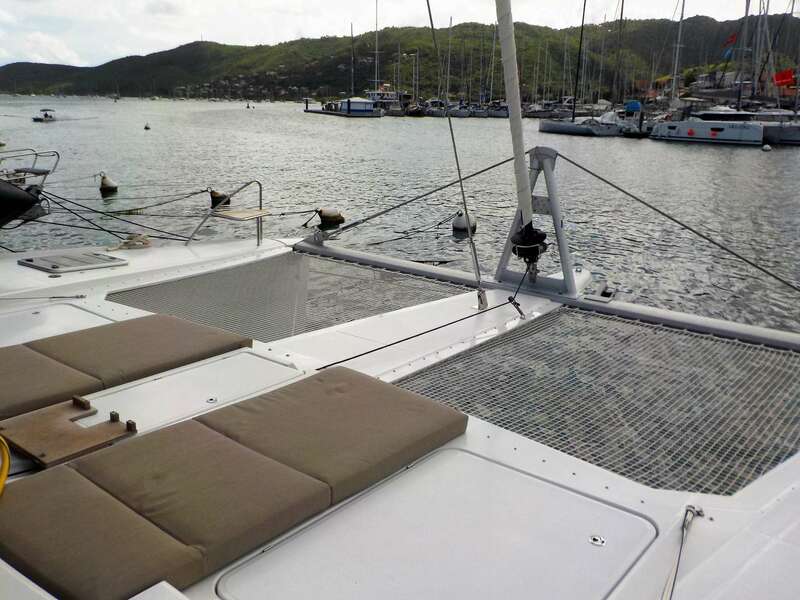 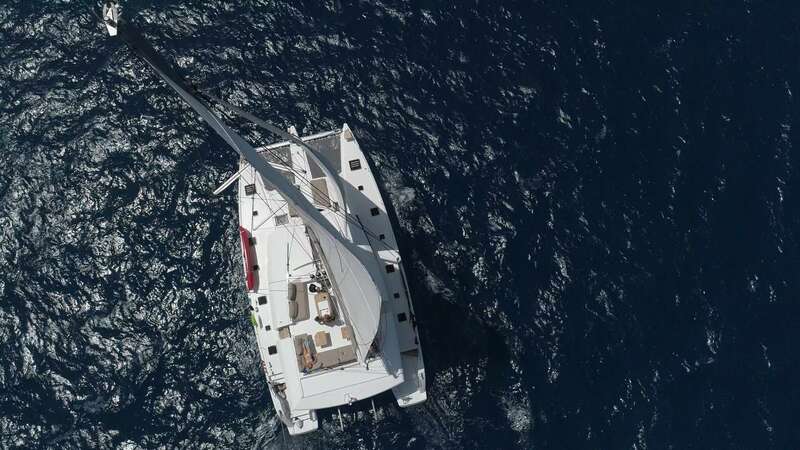 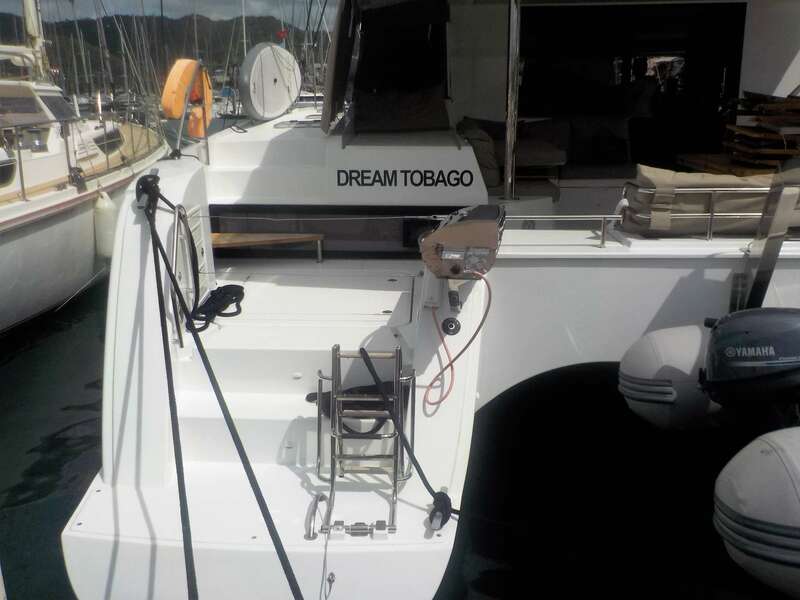 A professional two- person crew operate this vessel on a rotating basis.